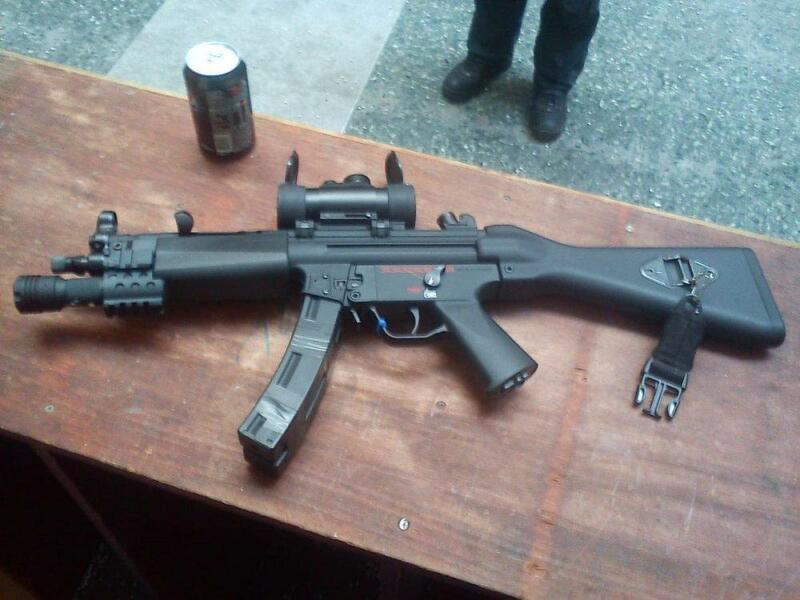 I currently have a combat machine MP5A4 from G&G, i would like to convert this to an A5 by adding the G&G sliding stock. i have the flashlight handguard. Hm, you could get a tri rail for the Mp5 and mount a PEQ box, but that would be costly. Or just stick the battery on the side of the hand guard and wrap some electrical tape around it, lol. You might be able to fit a LiPo inside a vertical pod grip...? Or, if you use either an NiMh stick (AK battery) or slim LiPo, you could tape it to the left outside strut of the retractable stock, although I'm not sure how you could hide the wire and still have the stock able to extend or collapse. In either case i suspect you would have to drill a hole somewhere in the furniture or receiver. Is there not a version of what you want already made? If so, how do they do it?